This edition of Angel Baby includes a bonus short story, "Must Come Down." "The plot explodes.... You know you're in the hands of a real writer." "Opens with a trigger-snap of trouble and blasts forward with the propulsive force of a bullet and never stops moving." "Thrilling and cinematic, told as one long chase scene." "One lean, tough novel. Lange's prose is sharp throughout and his pacing moves with the momentum of rolling thunder." "A rising star.... Lange embraces classic noir in all its violence, bleakness, and dark humor. He makes readers care about his flawed characters and appreciate the odds that were stacked against them by the circumstances of their upbringing. A film waiting to happen, this book boasts memorable characters, evocative settings, and a suspenseful plot." "A forceful read....Richard Lange's gripping novel is full of compelling characters, including a manipulative Mexican drug lord, a treacherous hit man, and sleazy border opportunists, but at the heart of this fast-moving story is Luz." "Angel Baby starts off in a sprint and never slows down. Richard Lange is a natural-born storyteller. What an excellent novel, both suspenseful and surprisingly moving." "This novel should come with a warning....The sentences flash like switchblades, the chapters rattle off like gunfire. Make all the comparisons you like -- Cormac McCarthy, Dennis Lehane, Martin Scorsese -- but Richard Lange is a force of his own, the high standard for crime fiction." 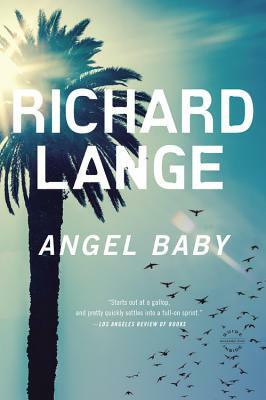 "Richard Lange has a PhD in badass, and in Angel Baby he leads the reader through every can't-look, can't-look-away corner of treachery and sleaze, violence and danger. Lange stands out as the greatest young crime writer of his generation, precisely because he doesn't write crime-he writes literature." "Angel Baby is a bone-crushing nightmare parable: bad people doing the wrong things for love."